Burgundy Morgan is a graduate of Pepperdine University School of Law and is a member of the State Bar of California, the United States District Court for the Central District of California and the United States District Court of Michigan, Western Division. A former professional musician, Ms. Morgan holds two undergraduate degrees in Music from William Paterson University and Raritan Valley College, with applied music in Classical Guitar and Jazz Piano, respectively. Ms. Morgan’s law practice includes intellectual property, entertainment, business organization, Internet technology transactions and torts. Ms. Morgan’s transactional experience focuses on all aspects of the entertainment industry, including copyright and trademark issues, drafting and negotiating contracts and licenses for music, film and television, and application of new technology relating to music and films, including online delivery and distribution, and Digital Millennium Copyright Act issues. 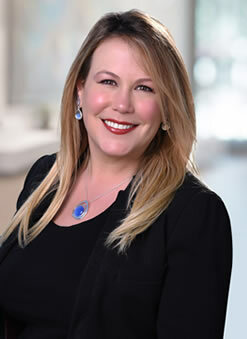 Ms. Morgan’s litigation experience includes federal intellectual property infringement actions, employment law, breach of contract, and commercial litigation. Ms. Morgan is well versed in business formation and organization matters for Corporations (C Corp, Sub-Chapter S, and Non-Profit), Limited Liability Companies, and Partnerships, including drafting commercial, corporate and information technology agreements.